Tips for Going Green at Home - Eco Friendly Living and Loving It. 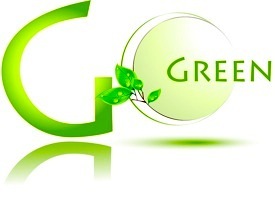 Tips For Going Green - How to live green in today's world by adopting some simple eco friendly strategies. Ideas from real people who are doing it. We Have the Green Power! On this page you'll find tips on how to live green on every inch of your property, from people who are already doing it. Living green is simply developing a collection of habits that do no harm to the environment. Contrary to some opinions, this is anything but a life of sacrifice. Green living affords a deep sense of connection with mother nature while offering a comfortable, cozy home life with all of the benefits our neighbors are enjoying. Check out some of our hot tips for easy green living while balancing modern needs. It all starts with you and me. If you have green ideas that you think visitors to this site should know about, here's where you get to pay it forward. You can upload a gallery of photos and display your website, blog or e-mail address. OK, here's mine. It's my shower routine. I'm not sure exactly how much water I use, but, during the winters we live on a sailboat and have limited fresh water. Our solar shower bag (on the boat) holds 4 gallons of water for both of us to shower. In the summers we live on a small island with limited water and a 3 gallon hot water tank. Also, I don't use a low flow showerhead because I'm naturally limited by the amount of hot water available. I have long hair and sometimes, to save more water, I use a leave-in conditioner and skip the second rinse. Stand under warm spray soaking hair, body and wash rag (or whatever you use). About 15 seconds. Turn water to a trickle and shampoo hair and completely soap body with wash rag and shampoo. Squeeze shampoo out of hair. Turn water on and completely rinse hair and body. Turn water to a trickle and apply conditioner to hair. Apply conditioner to shaving areas and shave (conditioner makes the best shaving cream). Use trickle to rinse razor. Turn water on and rinse thoroughly. Share Your Own Tips for Going Green Below! There are a million ways to go green at home and we know that YOU know, things that our visitors would love to know. 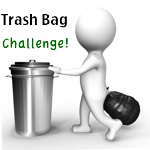 Tell us about your green living strategies. Do you catch rainwater, compost, grow a mean garden, raise hens, rabbits, goats, sheep, pigs, etc.? Show us your solar powered anything or your eco friendly house design. Maybe you have a water filtration system or a geothermal heating and cooling set-up, or possibly you've installed eco insulation, flooring or countertops. Like we said, there are a million ways to go green, and we want to hear all about yours. You'll get a whole page so you can tell us every detail and include up to 4 pictures. Promote your green products and add your website or e-mail address (one live link only). You can even invite friends and customers to check out your web page! Visitors to this page may also be interested in the following pages.